Temecula Short Sale Agent Answers your Questions. Yes I am going to answer some questions that most Temecula Short Sale clients ask me. the start of your recovery from getting out from under a huge mortgage. You don’t have to worry what it’s going to cost. There is no fee from me to handle your Short Sale. Yes its FREE!! When I get your approval, I get paid by your lender. Will your lender go after you for the shortage? Not if your loan is the original 1st loan on the house. What if I have a 2nd loan on the house? on your home to allow the Short Sale to be completed. They will work with you on the balance owed. them completed in 90 days once I have an offer accepted on your home. Please call or email me with your questions for straight answers on your housing issues. I will help!! Short Sale options, choices, be aware. 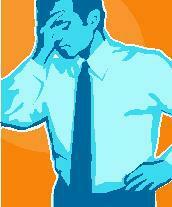 Sellers need too see and understand the whole process when they are considering a short sale vs foreclosure. I always tell my clients to seek legal and tax advise.But to see the whole picture and make the correct choice, sellers should know what the bank/lender is going to do/offer in a short sale.That is why I will ALWAYS recommend the short sale FIRST. By doing a short sale the seller will get from the lender/bank a letter in writing stating the terms of the short sale approval. THEN sellers will have the option based on the advise of all experts on what is best for them. 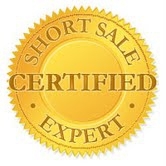 They can stop the short sale process at anytime at no cost. Wells Fargo Loan,Need a Temecula Short Sale agent call me. Temecula Wells Fargo Short Sales are changing. If you have a Wells Fargo Loan and need a Temecula Short Sale agent call me. I have been selected by Wells Fargo to test out their entry into the Equator system. What does this mean to you? It means that I can streamline your short sale process. with only a few selected short sale specialist. is a solution for you, Call or email me for personal hands on service. How to price a Short Sale Listing. OK you have made the decision to short sale your home. Here is were you have your first disconnect. With out the guidance of a short sale expert you would most likely overprice your home. The goal in a short sale is to get an offer fast and one that the bank, your lender will accept. Overprice the home and it will NOT generate an offer and your home will be foreclosed. Underpricing the home WILL generate an offer that the bank will reject. A Short Sale Specialist knows how to price your home for a successful short sale,not to high and not to low. 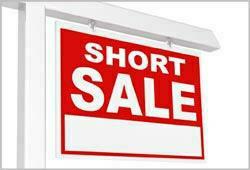 I am a Temecula Short Sale Specialist,call or email me for more details on how I price my short sale listings. Why to reject a short sale offer. Don’t get to excited about your first short sale offer. It could be a dud! A bad offer can cause your home to go into foreclosure. Here are a few of the things a short sale expert will look for in an offer…. Is the buyer an investor? Beware an investor has no tie to your home and may drop you and buy another home that comes on the market. Having them show you proof of funds is no guarantee that the money will not be spend on other properties. There are good investor buyers & flakes. An experienced short sale specialist can filter out the flakes. Investor or owner occupied buyer,get them to commit! Open an escrow and get them to put their good faith deposit into escrow. If they will not it’s a sign of a buyer that will flake out on you. There are many reasons to reject an offer,just call or email me for more details on why to reject a short sale offer.